Istanbul next week will host two major gatherings on the global market for products and services conforming to Islamic guidelines, known as halal. 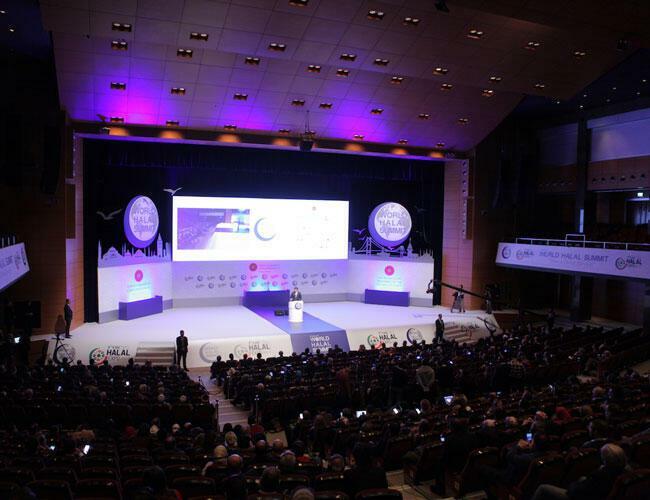 This year the World Halal Summit Istanbul (WHSI) and the 6th Organization of Islamic Cooperation (OIC) is expected to attract scholars, company representatives, experts, businesspeople and politicians from around 80 countries. Last year nearly 30,000 visitors from 72 countries and 150 exhibitors took part in the gathering. During the summit, featuring a speech by President Recep Tayyip Erdogan, topics will include standardization, halal food, halal slaughtering, halal medicine, halal tourism, and halal finance. Both programs will be at the Eurasia Show and Art Center in Yenikapi, Istanbul, and will last through Dec. 2.